OTTAWA -- Prime Minister Justin Trudeau's former principal secretary will tell his side of the SNC-Lavalin saga on Wednesday. 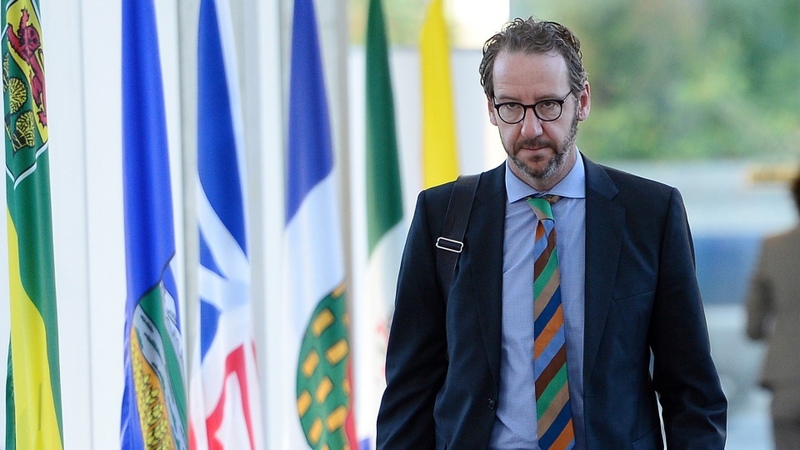 The House of Commons justice committee is set to hear from Gerald Butts at 10 a.m. that day, a week after former justice minister Jody Wilson-Raybould tore into the Trudeau government with her accusations of repeated, sustained pressure by the Prime Minister's Office and Privy Council clerk Michael Wernick not to prosecute the Quebec engineering giant. Butts has been friends with Trudeau since university, at his side politically since the start of his Liberal leadership run and a critical part of the party's 2015 election campaign. He resigned Feb. 18, saying he had done nothing wrong but felt the need to leave because he had become a distraction. SNC-Lavalin faces charges of fraud and bribery related to its work in Libya. In early February, allegations first arose that Wilson-Raybould wouldn't intervene to allow the company to negotiate a remediation agreement, which comes with oversight and financial reparations but avoids the penalty of not being allowed to bid on government contracts that would come with a criminal conviction in court. She resigned from cabinet several days later, and then finally told her side of the story to the Commons justice committee last week. Wilson-Raybould remains a Liberal MP and said over the weekend she plans to run again as a Liberal in the fall election. Trudeau said last week he was reconsidering her place in caucus following her testimony. Speaking in Prince Edward Island Monday morning, he again said no decision has been made. "It's not a situation we can take lightly so we are taking time to reflect," he said. Environment Minister Catherine McKenna said Monday she is glad Wilson-Raybould had a chance to give her "perspective" but is also looking forward to the additional testimony to come at the justice committee, including from Butts. "There are a diversity of perspectives on this," she said. "I believe the prime minister when he says he did not put undue pressure, his staff did not put undue pressure on Jody Wilson-Raybould and I think we're going to hear some more testimony this week." New Democrat MP Charlie Angus, meanwhile, says Canada's top civil servant needs to resign over his role in the matter. In an open letter to Trudeau, Angus wrote that Michael Wernick, the clerk of the Privy Council, was inflammatory and sensationalist when he told the House of Commons justice committee almost two weeks ago that he worries angry political rhetoric could lead to an assassination in Canada. Wernick also spoke up for the Liberal government's Indigenous agenda and integrity, which Angus says was inappropriate for a non-partisan public official. In his testimony Feb. 21, Wernick also stood up for Crown-Indigenous Relations Minister Carolyn Bennett, whose disagreements with Wilson-Raybould on Indigenous policy had led Bennett to be attacked on social media, he said. "I want to say on the record there is no Canadian who has worked harder on Indigenous reconciliation than the Honourable Carolyn Bennett, and she deserves better from the social-media trolls," he said. But he also said he has worked with the four previous prime ministers -- three Liberal and one Conservative. "I can tell you that they are always guided by trying to do the right thing the right way," he said. "The exceptions to that in Canada are extremely rare and are detected, corrected and punished." Wilson-Raybould testified that Wernick leaned on her to head off a criminal prosecution of SNC-Lavalin and accused him of making "veiled threats" to her if she didn't agree to consider a remediation agreement for the company, about three weeks before she was shuffled out of the justice portfolio. Angus's letter says that made Wernick "a central player in a very political controversy." Wernick has been clerk of the Privy Council since 2016, after a long career in the federal public service.